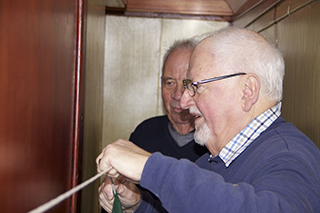 A huge amount of work has been done by SDR volunteers to get Santa’s grotto ready, although this has not always been easy. Although the work itself started in earnest as soon as the last trains ran at the end of the October half-term, much had been done beforehand in buying and making decorations - and before you ask, this year's theme is penguins. 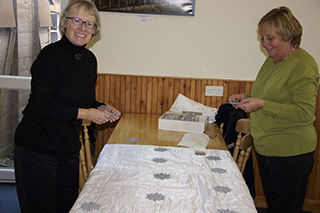 Mick Stevens and Bill Parratt are seen working in BG276 (BG is the GWR code for Brake Grotto), while Sue Parratt and Carol Jones concentrate on getting the drapes and stars right. 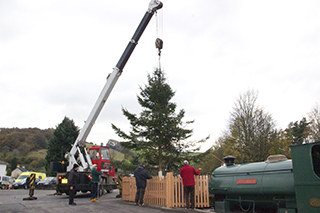 The Christmas tree is erected with the aid of the SDRE workshop crane - it goes up with the lights already attached. 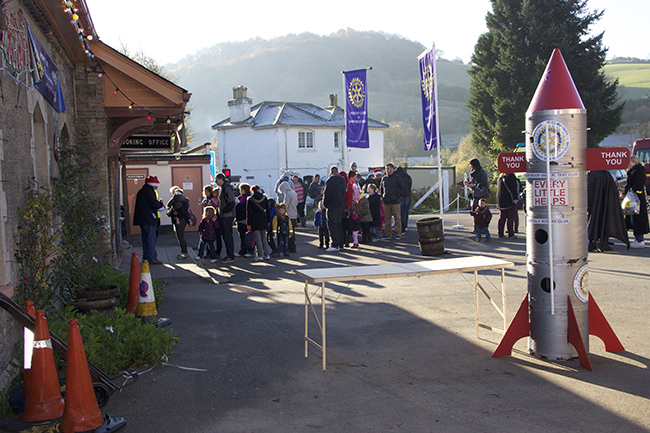 The presents all have to be wrapped, and this was again done in a single session on Monday 04 November - the day after half-term - with the Buckfastleigh station Group providing a magnificent barbecue for all those involved. 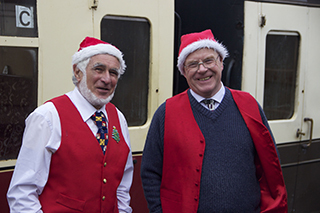 The first Santa specials of the year are organised by the Dartmoor Vale Rotary Club, who charter two trains on both the last Saturday and Sunday of November. 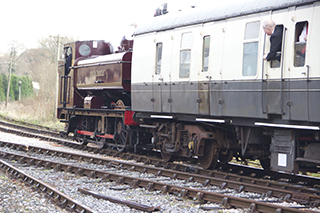 The locomotive was L92, and crewed by driver Giles Gilbert and fireman Ernie Elsworth-Wilson; John Gigg was the guard. 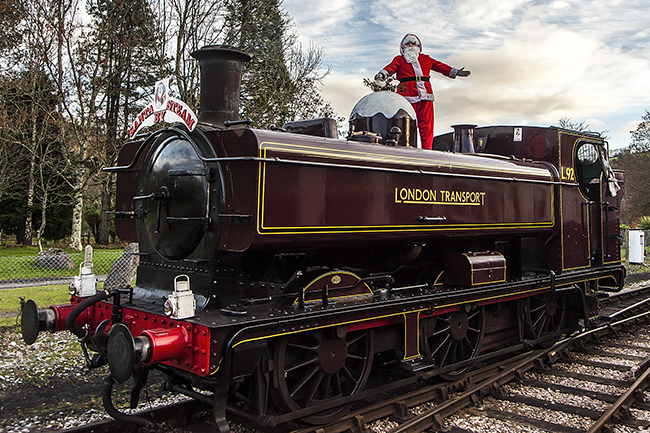 Santa’s train arrives back at Staverton.. --and then it’s back to Totnes later in the day. Fancy trying you hand at our caption competition ? 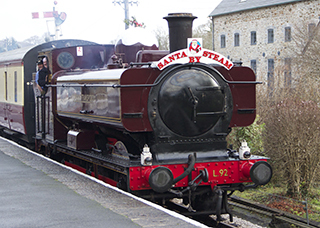 Please submit your entries to our Retail and Catering Manager, Graham Coates, at the Refreshment Rooms, Buckfastleigh Station. 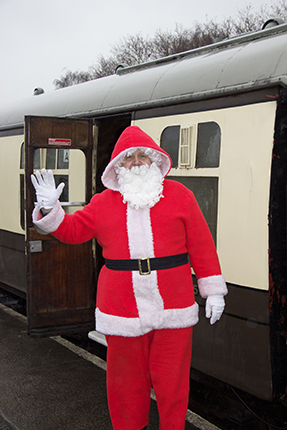 The closing date was December 22nd December 2013 so Santa can choose the winner on 23rd December 2013 in the Refreshment Rooms at about 17.00 after the last train. 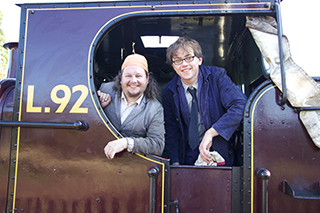 There was a footplate pass for the winning caption! 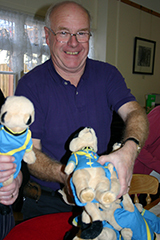 Update: 25th December 2013 – All done for another year ! A couple of “Elves” This is one of the best times to see the river Dart. Well that’s it for another year. 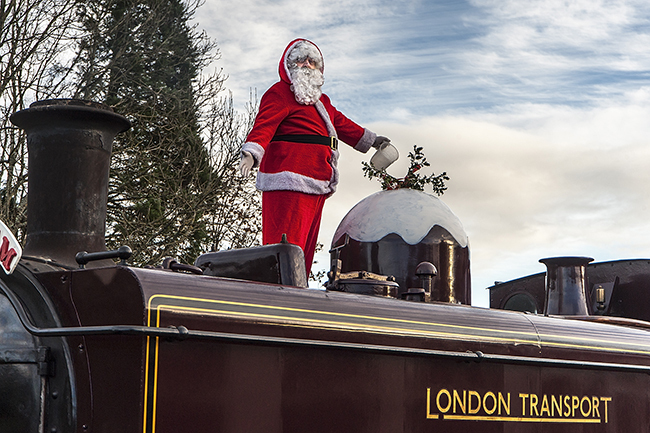 Santa has completed his duties on the Railway and many children have gone away happy. Many thanks to all those involved and hopefully Santa will return to our metals next year. 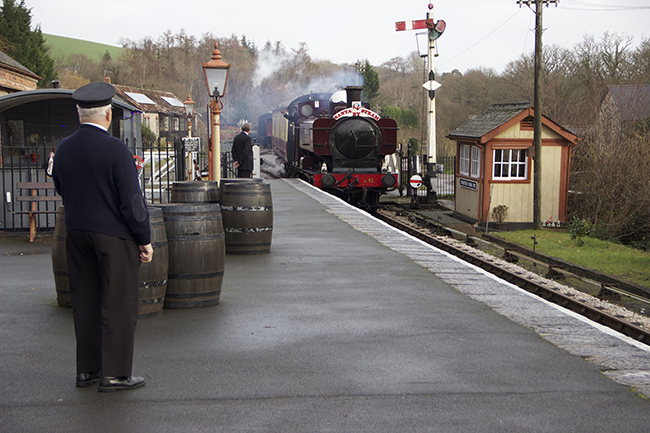 In the mean time you can always visit the railway. 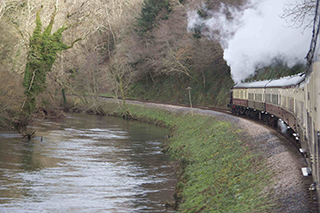 ++++ Note ++++ Due to the recent inclement weather we regret that the Mince pie special services scheduled to run between the 26th December and the 01st January 2014 have been cancelled due to a landslip. 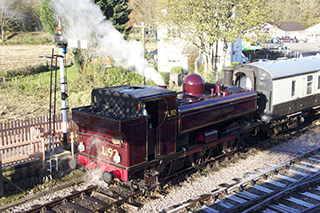 The are no trains after the 01st January until mid February to allow for winter maintenance.